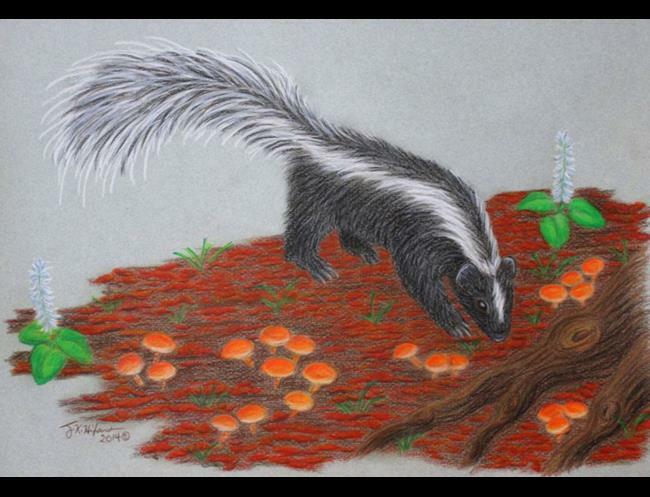 Done in Derwent pastel pencils on toned paper, this striped skunk is looking for snacks on the forest floor. Native to North America, I wanted to show a skunk doing something different than the way most people think of them. This is my second attempt at this particular setting, the first was too cluttered and dark. In this one, I added more mushrooms and bookended the scene with summer wild flowers.